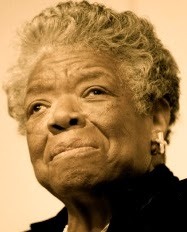 A Year of Being Here: Maya Angelou: "Love's Exquisite Freedom"
"Love's Exquisite Freedom" by Maya Angelou. Published as an art book by the same title, illustrated by Edward Burne-Jones (Welcome Books, 2011). Curator's note: This poem is commonly found on the blogosphere under the title "Touched by an Angel," a title for which I can't account.